15th May 2010 is a date etched deep in the memory of the tens of thousands of Dagenham’s Kevin Mitchell’s supporters. On that fateful night over twenty four thousand of those partisan fans packed in to Upton Park to watch their all conquering hero, who was firm favourite to clinch the interim WBO Lightweight title and to be just one step from achieving his goal of a full blown World title shot. However it was not to be, as Kevin succumbed to the antipodean upsetter Michael ‘The Great’ Katsides and in doing so not only lost his coveted ‘O’ but also a World title shot in just three short rounds. I caught up with Kevin at the Ultrachem TKO Gym in Canning Town and got to ask him about the Katsides fight, the on-off-on-off proposed April clash with John Murray and his future championship aspirations amongst other things. Before we get onto the interview I have to say I was surprised that so many people were quick to write Kevin off, as a genuine contender, following the loss to Katsides and as such feel that it is appropriate to have a quick review of his excellent championship record. Kevin’s first championship bout, against France’s Mohammed Medjadji for the vacant IBF Inter-Continental Super Featherweight title, was on the undercard of the Audley Harrison-Danny Williams Commonwealth title clash at the ExCel Arena in Docklands on the 10th December 2005. Kevin, whose record stood at 16 (11 KO)-0, was on top form, he was quick, skillful and powerful. Throughout Kevin showed his superior boxing skills, but the tough Frenchman showed his durability by withstanding Kevin’s constant onslaughts. In the sixth Kevin really stepped things up, bombarding Medjadji with vicious body shots that were clearly taking there toll on the Frenchman, so much so that with under a minute of the round to go referee Ian John Lewis had no option but to step in and stop the bout as Medjadji had stopped responding with punches of his own. Just over two months later, on the 25th February 2006, Kevin was back at the ExCel to defend his newly won crown against, another French challenger, Youssouf Djibaba on the undercard of Danny Williams defense of his Commonwealth crown against Matt Skelton. As before Kevin dominated the proceedings with his superior boxing skills, although Djibaba proved a harder opponent to finish than Medjadji. At the end of twelve hard fought rounds the judges cards read 118-108 and 119-109 (twice) in favour of Kevin. Kevin’s second defense, and first bout as headliner, came just three months later, on the 13th May 2006 at York Hall in Bethnal Green. Kevin’s Bulgarian opponent Kirkor Kirkorov was a late replacement and had a reputation of being a bit of a spoiler. Kevin came out fast and went straight to work on the body. Kirkorov defense was strong but Kevin persevered trying to work a breakthrough. In the second round that breakthrough came, a wicked multi punch combo had Kirkor reeling, Kevin followed up with a vicious left hook to the body and Kirkorov dropped to one knee. Kirkorov survived the round but failed to show for the third. Kevin had a ‘keep busy’ fight in July against Imad Ben Khalifa which lasted just 214 second, which set him up nicely for his third defense against Belarus’ Andrei Isaeu at the Grosvenor House in Mayfair, London on the 8th September 2006. The fight was stopped after 1:37 of the eleven round due to cuts. Just over a month later Kevin was back in action again, this time against Ghana’s George ‘Red Tiger’ Ashie for the vacant Commonwealth title. The fight went the full distance and see Kevin add the Commonwealth belt to his collection after the judges scorecards showed 116-113 (Twice) and 116-112 in his favour. It was March 2007 before Kevin reentered the fray to defend his newly won Commonwealth crown against the tough South African Harry Ramogoadi. Kevin gave Ramogoadi a pure boxing master class before finally finished him off in round six. Ramogoadi was sent to the canvas following his walking into a solid right hand. Referee Terry O’Connor wisely dispensed with the count. On the 14th July 2007 Kevin defended his IBF title for the fourth time, as well as challenging for the vacant WBO Inter-Continental super featherweight title, against Russian Alexander Khrulev at the O2 Arena in Greenwich. It was another very short fight as Kevin knocked out Khrulev after less than a minute of the second round. Another non-championship ‘filler fight’ with Edison Torres was Kevin’s first outing in 2008, a quick finish was the order of the day as Kevin stopped Torres early in the third round. On the 8th March 2008 Kevin put his Commonwealth title on the line when he challenged Carl Johanneson for his British title. Kevin started like a runaway train, taking the fight to Johanneson for the first few rounds. Mid way through the fight Johanneson started to turn the fight round but Kevin dug in and eventually stop Johanneson in the ninth to add the Lonsdale Belt to his growing collection. Three months later Kevin winged his way across the Atlantic to defend his WBO Inter-Continental Super Featherweight title, against Miami based Colombian Walter Estrada at the Boardwalk Hall in Atlantic City. I was living in Philadelphia at the time so this was one of the few of Kevin’s championship fights around this time that I actually got to see live. Kevin seemed to struggle at times against the southpaw stance of Estrada, who wobbled Kevin badly as early as the second round. More trouble for Kevin in the fourth when a large swelling and a small cut appeared under his left eye. After getting caught yet again by more head shots, Kevin responded with two good right hands to the head of Estrada. With just seconds to the bell to end the fifth, Estrada was sent to the canvas after Kevin let rip with a lightning fast right to the body. Estrada did beat the count but the referee Lindsey Page stepped in to stop the fight. Another couple of non-championship bouts followed in 2009, the first against Lanquaye Wilson and then Ruddy Encarnacion. Kevin stopped them both. Next up was Kevin’s first championship bout at Lightweight, and if that wasn’t enough his opponent, for the vacant WBO Inter-Continental Lightweight title, was none other than Colombia’s Breidis Prescott -the man that KO’d Amir Khan in less than a minute just fifteen months earlier. Mitchell was savvy and refused to be drawn into a war, instead he relied on his superior skills to frustrate and out box Prescott. Throughout the bout Kevin remained patient, picking his shots with care to totally dominate and win the bout by wide margins on all three judges' scorecards, 119-110, 118-111, 117-111. Just a couple of months later, on the 13th February 2010 at the Wembley Arena, Kevin defended the WBO Inter-Continental belt against yet another Colombian Ignacio Mendoza. Another short fight followed as Kevin knocked out Mendoza, with a peach of a right hand to the head, in just one-minute and 24-seconds of the second round. Which brings us back to where we started, Kevin’s first career loss when he faced Michael Katsides at Upton Park back in May 2010. The fight has been well covered so I don’t feel the need to say any more - I’ll leave that to Kevin. Rio - Hi Kevin, thank you for taking the time to talk with me today. Before I get on to boxing related questions I have a more personal one. Last year there was sad news that your five year old Cousin Mitchell Huth had been diagnosed with cancer, I wondered just how young Mitchell is doing these days? Kevin Mitchell - He’s really well now, he popped round my mum’s house the other day, it was the first time I’d seen him in a while. He’s in a happy state, a good frame of mind. We’re gutted for him but he’s a fighter, his fighting the cancer so good on him. Rio - Your planned fight with John Murray is up in the air at this point. Do you think there is still a chance it will go ahead or is it completely off the board? Kevin - I don’t think it’s completely off the board, I think it’s still there. I’m in the gym getting ready for it. I’m just waiting for a better offer of money for it. It’s all negotiable, Frank (Warren) has always done good by me, Frank’s always looked after me and I think he always will do, so just waiting for me and Frank sitting down and negotiating. Rio - How did it feel coming out at Upton Park to the tens of thousands of fans, and knowing that they were there supporting you? Kevin - It’s a crazy feeling, twenty-twenty two thousand standing in front of you, twenty four thousand or whatever was there. It was a mad feeling really. It was something else standing there and an even greater feeling to walk out and seeing all those people there. It made me feel really proud, you know I was really proud to be there. Rio - I know your fight with Michael Katsides has been well and truly covered but what was your view of the fight? Kevin - I think I knew in the dressing room I wasn’t right, not due to the weight, I’d cut corners because the way my life was at the time. I knew in the dressing room I wasn’t right, I think when you know in the dressing room you’re not right you know you’ve cut corners, you’ve missed out on runs and I was missing out on gym sessions down here, that’s not like me. I like to train everyday, be in the gym every day, train in the gym two or three times a day. Afterwards I was just gutted that I got beat. If ever I get beat by a better man when I am on top form I’ll hold my hands up. I don’t mind that. But when you get beat due to yourself not being right. But down to not preparing yourself properly, with yourself messing around, you kick yourself in the backside. It’s give me a major lift as well to push myself harder and harder as I’m working now. Rio - So does that mean you want a rematch with Michael Katsides? Kevin - Most definitely yeah. I want the fight against John Murray. Get it on with him, show Britain who is the best on the domestic scene, I know it’s me. Beat John Murray, show them I’m back, and then Katsides and then a World title fight. Rio - You’ve held all the main domestic titles, but you very first title wasn’t domestic it was the IBF Inter-Continental. What made you decide to go straight for an International title? Kevin - Well that was down to Frank Warren, Frank’s a brilliant promoter he’s the best at his game without a doubt. he said it gives you more of a lift than the Commonwealth title, It puts you in the World rankings. He put me in there straight away, put me in with good fighters, good opponents. They were learning fights, I was doing twelve rounds. For me it was a good way to learn doing twelve rounds. I was just twenty one when I started fighting twelve rounders, it shows you don’t it. Rio - You’ve had some great battles over your career, which holds the fondest memories or means the most to you? Kevin - The most memorable was most definitely the British title fight against Carl Johanneson. I came out for the first four rounds steaming. Thought in a few rounds I was going to blow him out. I was completely wrong, I came unstuck in the sixth, I took the most punches I ever did in my whole career, I was out of it most of the sixth, I took a few big bombs. Without realising It, I was gone. I went back at him legless and caught hold of him again and got him out of there in the ninth. Being in there in a fight like that is something I am likely to be again someday. Being in fights like that makes me proud and proves that I can get through hard times. Rio - You’re trained by Jimmy and Mark Tibbs at the Ultrachem TKO Boxing Gym - Jimmy’s a legend in the sport and Mark is getting a reputation as a chip of the old block, so just how is having them co-training you going? Kevin - Working with Jimmy and Mark is brilliant. They’re so much a like. You’ve got Mark bringing in new things and you’ve got Jimmy who is old school. It’s brilliant. 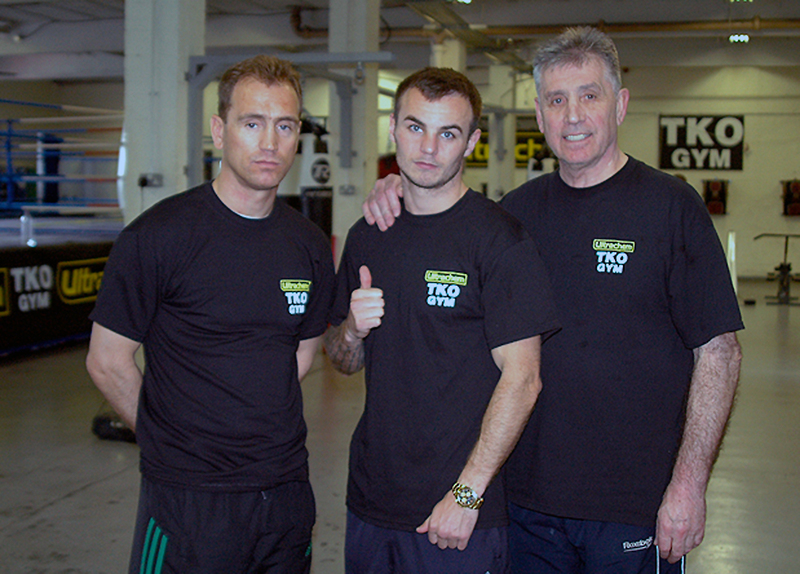 I’m really happy here, It’s great being up here at the TKO Gym with all Jimmy and Johnny’s (Eames) fighters and that. One minute you’ve got David Haye, the next minute you have a kid in here or a cabbie in here. It’s a real happy gym. I’m really happy here, everyone’s here to work, whether it’s a cabbie or a World Champion like David Haye training and sparring in here. Everyone that’s in here is here to work and train hard, there’s no spectators or nothing like that. The only people that will be watching are either a boxer, a trainer, a pad man or someone involved in the boxing. It’s a brilliant place. What they do here is brilliant. Rio - I was here at the TKO Gym when you sparred Colin Lynes a couple of weeks ago - that was awesome to watch - does it help having such good sparring in-house? Kevin - Yes most definitely, sparring with Colin Lynes, an ex world champion and a weight or so above me now, you can’t get better than being around guys like that. You’ve got Michael Grant and guys like that around to spar all the time. You’ve got Nathan Weise in here. The quality fighters that come out of this gym is brilliant. One minute you’ll be sparring so so and the next time it’s someone different. You get to spar with guys with different styles it’s brilliant. It works sparring all the different styles. I was speaking with Steve Bunce the other day and he said the gym’s always buzzing and there’s plenty of quality sparring. It is and that’s what you want in a gym. Rio - I know the fight with John Murray is still in negotiations, if it doesn’t go ahead who would you be looking to fight next? Kevin - As in names it doesn’t bother me, although I want to fight Miguel Vazquez, the IBF Champion, I’ve been watching him, watching what he does, I’d love to have a little do with him. I want to fight first and then a World title. Either Katsides and then a World title fight or John Murray then Katsides and then a World title fight. I’m looking to be IBF World Champion. Rio - You more or less covered my next question with that answer - What does the future hold for Kevin Mitchell? 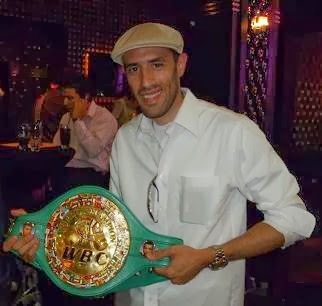 Kevin - Yeah, what the future holds for me in boxing is, and the fight fans is, a big title in the World of Boxing. I definitely want to fight in Vegas in the future. I really fancy topping some big bills in Vegas, and yeah being World Champion and making lots of money. Rio - Thank you so much for talking with me today, I wish you nothing but success and hope that you get the title shot you deserve. Kevin - Thank you, and thanks to all the Boxing fans out there.